I love to try out new gadgets in the kitchen. 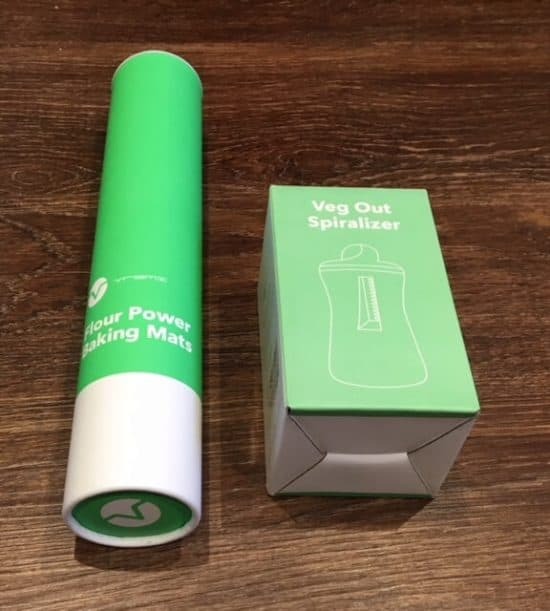 This past week we have been trying out the Vremi silicone baking mats and the vegetable handheld spiralizer that we were sent. You may remember a few weeks back we tested the Vremi whistling kettle as well. I have to say Vremi have some fantastic ideas for kitchen equipment. 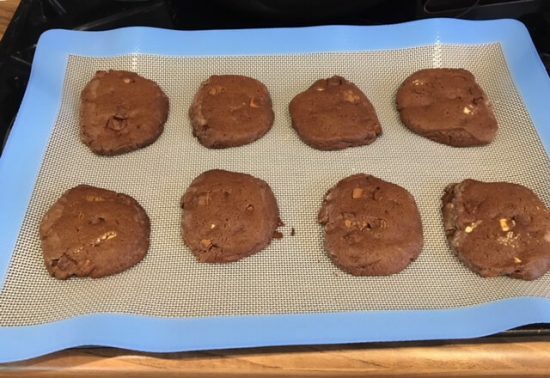 I’ve never used baking mats before and now feel I have been missing out! 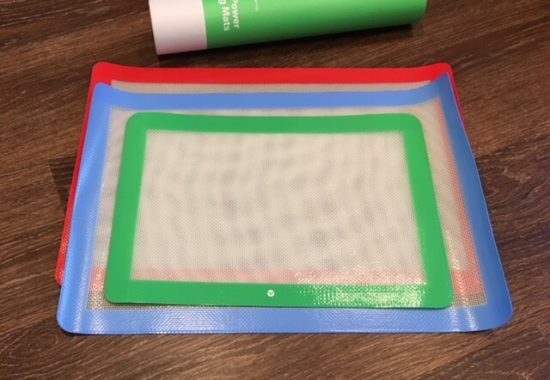 These Vremi silicone mats come in a set of 3. Two of them are full size liners for your baking trays and one is a half-size. They arrived in a tube which is handy to keep them in also. As well as being non-stick they are BPA free silicone and contain a flexible fibreglass weave. Baked goodies or roasted vegetables don’t stick even if you don’t grease them thanks to its premium food-grade non-stick silicone surface. To clean you can wipe clean with a damp cloth, but I also wash them in soapy water. Not suitable for dishwasher use, but can be used in the freezer or microwave. Oven safe up to 480°F (249°C). You must always use them with a baking tray. We used them to bake chocolate cookies last week. The cookie dough never stuck to the mat at all. Once cooked they just slid off the silicone mats. 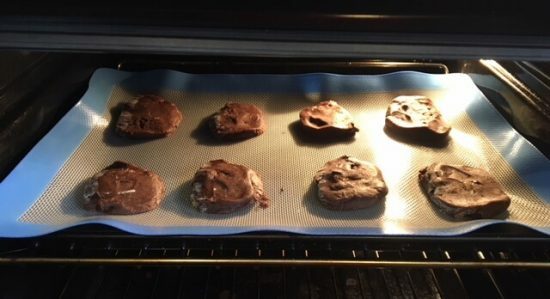 The Vremi Silicone baking mats will be very well used in my house. The next test for them is to use them the cook my husband’s BBQ chicken wings! That will be the ultimate test! I believe these mats are fantastic value for money. They feel very strong and durable. No more scrubbing baking trays for me! 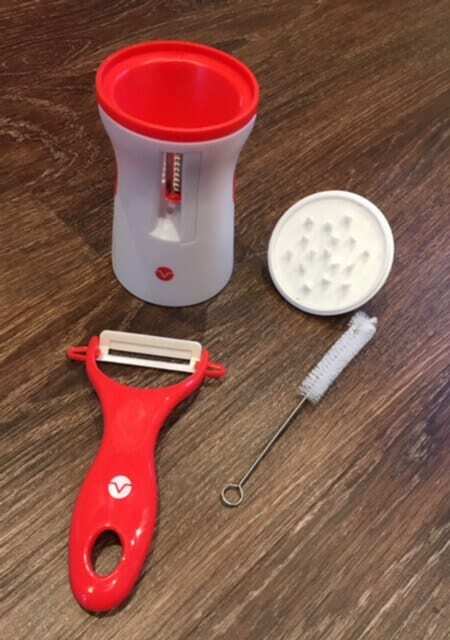 The handheld vegetable spiralizer is perfect for creating your own vegetable noodles. It will transform fruit and veg into swirls sticks or noodle shapes. CAUTION: Sharp edges. Handle with care. Do not place in microwave freezer or above an open flame. We love this spiralizer. It’s easy to use and makes great veg noodles. I think courgettes work the best. Carrots are ok but I think due to the hard texture it didn’t make as good noodle shapes as the courgette. I think it will take more practice to get this spiralizing down to a T! The lovely people at Review Directory have kindly given me a set of the Vremi silicone baking sheets and the Vremi vegetable spiralizer to one person in a giveaway. All you have to do, is enter as many options on the Gleam widget below as you wish. Remember the more options you complete the better your chances of winning! The prize will be arranged by Review Directory. I love these mats … positively swear by them…time for new ones though, I do do a heck of a lot of baking haha!